The residents say that the cemetery is safer than the slums of the city, not to mention much quieter. 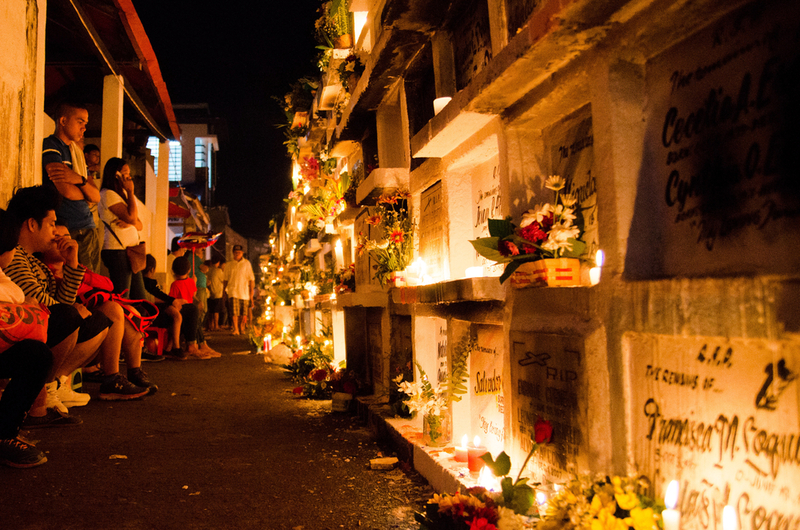 How’s this for a real-life tale from the crypt: El Cementerio del Norte, the Manila North Cemetery in the Philippines, is a verifiable city of the dead—but the inhabitants aren’t just the dearly departed! 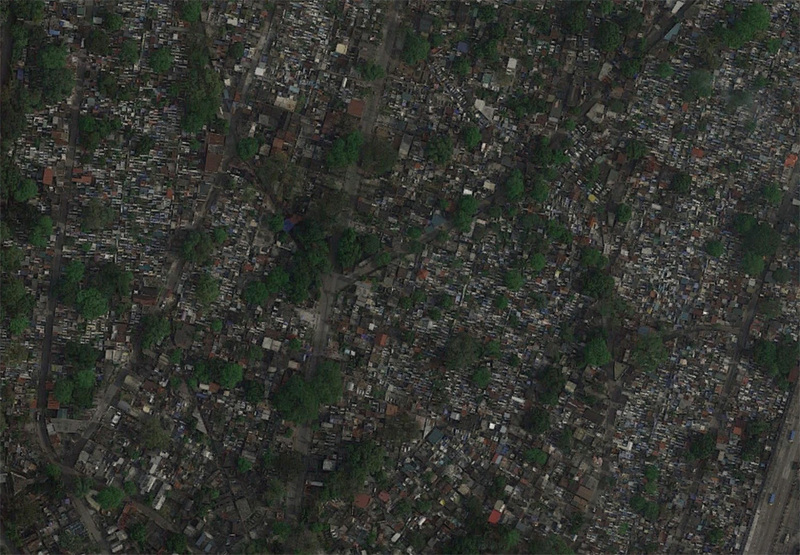 Located in the City of Manila, capital of the Philippines, this modern necropolis holds a community of an estimated ten-to-fifty thousand Filipinos that live alongside the over one million dead within the country’s largest cemetery. The impoverished people who claim residence in this mortuary live in tombs and sleep on final resting places—talk about a charnel house! A predominantly Catholic country with like funerary rites (mixed with a variety of local traditions), Manila North Cemetery is unconventional when compared to other graveyards found in the Philippines. A growing trend in Metro Manila, these integrated graveside communities are crafted by necessity out of rampant overpopulation, homelessness, and the high poverty levels in the surrounding slums of the world’s most densely populated city. 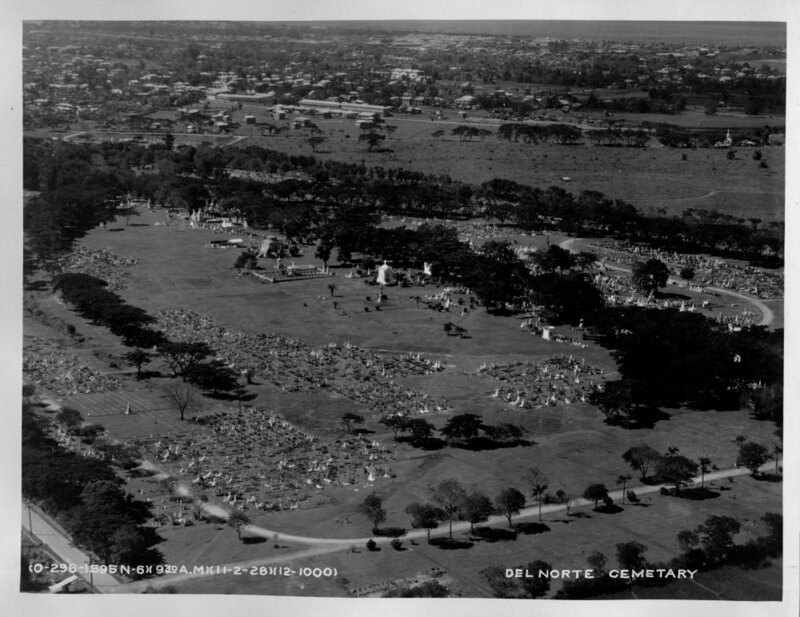 The cemetery as it looked in 1928. At first glance, the scene appears to be a nightmarish landscape of the dead, thrown asunder by an earthquake into perilously jagged peaks and silent stone valleys. Built in 1904 and one of the oldest cemeteries in the country, the economy of this marble village is built around the colorful, cascading sea of pink, yellow, orange, and turquoise tombstones and monuments that go as far as the eye can see. Despite being big enough that it has its own navigable roads, space is so crammed in Manila North that many of the tombs are stacked upon one another. Of the interred include Filipino revolutionaries and patriots, presidents and congressmen, composers and writers, and even famous actors and athletes. The living tenants are often paid by the families of the deceased to tend to the graves and mausoleums as caretakers, while others are tasked with acting as tour guides or presiding over prayer. Worship over the dead is an important task within Philippine culture, where service is conducted in order to assist and guide the departed in their journey to the afterlife. October 31st through November 2nd is Manila North’s busiest time of the year, as it receives over one million visitors for Halloween, All Saints Day, and All Souls Day. One of the biggest holiday seasons of the year in the Philippines, special care is taken during these days to spend time with the dead. 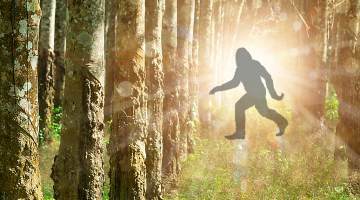 It is not uncommon to spend the night eating, praying, playing games, cleaning the tombs, and adorning them with candles, flowers, and other gifts. Some of the indigenous peoples of the Philippines have customs involving the burial of the dead under their own homes, which create a cultural precedent for living with those who have passed. 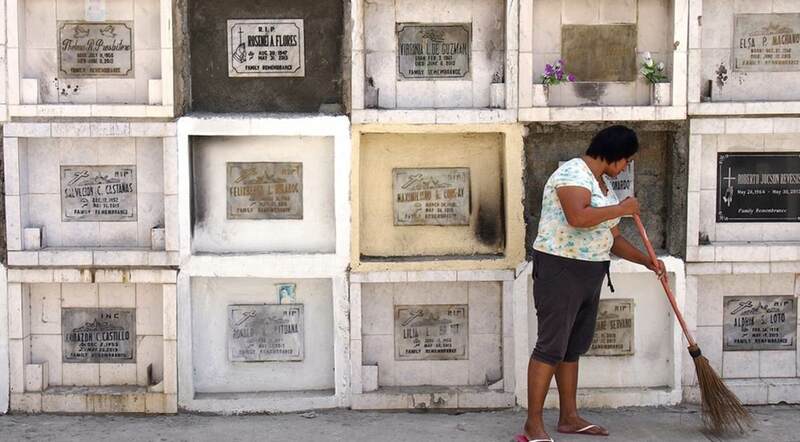 Aside from the society that sprouted up around these sepulchers, another unusual aspect of Manila North is that burial plots are not bought, but rented in five-year leases. In a city with a population of nearly thirteen million people resulting in upward of eighty-to-one hundred funerals per day at Manila North alone, space is at a premium. If backrent begins to pile up, the hapless borders are summarily evicted. Exhumed, the cadavers and corpses are removed from their caskets and coffins by hand. Professional exhumers will store the bones in mass graves or incinerate them. Sometimes, discarded skeletal remains of removed tenants are left in piles that line the cemetery’s haunting aisles. 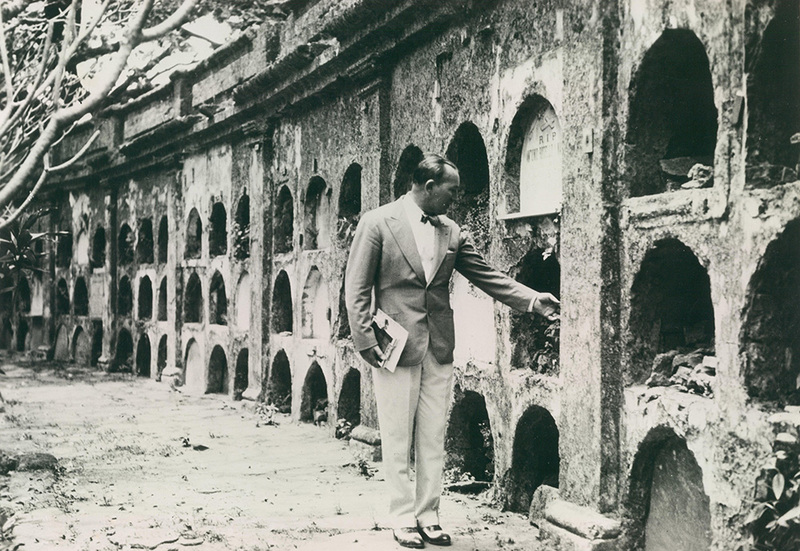 Robert Ripley learned about these rental graves when he visited Manila while touring southeast Asia. Dwelling among the deceased doesn’t appear to trouble the citizens of Manila North. Not even the prospect of ghosts, phantoms, and specters seems to bother the children, who swim among the burial chambers and even play with the bones! 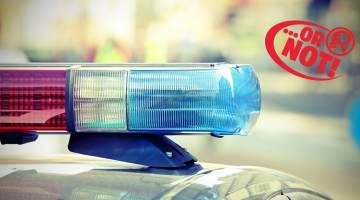 The residents say that the area is safer than the slums of the city, not to mention much quieter… that is save for the occasional belting out of the “voices of the dead,” according to one local. Another regular often spends his days at the ossuary even though he has a home in a neighboring borough. He says that he actually prefers it at the cemetery because it is safer! Just because these people dwell on funerary grounds does not mean Manila North is bereft of life. Some vaults have been rigged with electricity and even claim television sets. While few have running water, the graveyard does host games of billiards and basketball, a fully-stocked convenience store, restaurant, taxi service, schoolhouse, an internet cafe, and even karaoke nights! Kris Levin is a professional wrestling referee and everybody’s favorite nephew. He can be seen internationally on IMPACT Wrestling as their most junior official, #KidRef, and on social media at @RefKrisLevin.